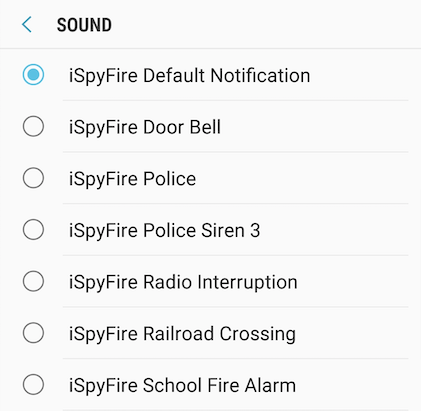 Android users using Version 8 and Higher you may have noticed you no longer have an option to select iSpyFire Sounds in the app. This was an update done by Android, to allow you to have complete control over your sounds so we thought we would show you how to maximize your sounds for the ISpyfire app, by having our sounds! That is if you want them. 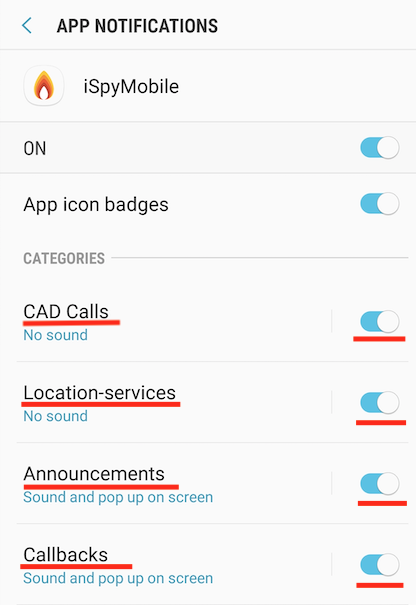 But because Android changed up your control settings you can have any sounds you can download to be a sound for Calls in iSpyFire Mobile! Below is the step-by-step on how to get you all set up and ready with our iSpyFire sounds! Go into your settings on your device. Here you will want to make sure each one is ON according to what you would like to receive notifications for. Then when you jump into one of the 4 above, you will see IMPORTANCE and SOUND. Select IMPORTANCE and you will see a list. 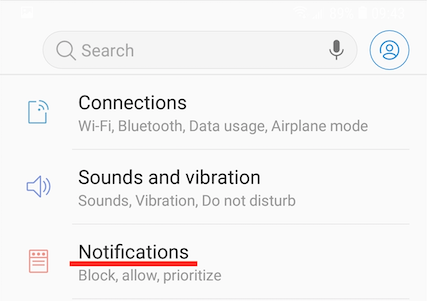 BE SURE if you want notifications to select URGENT. Going back to the previous page you will then select Sound. Here you will see a list of iSpyFire Sounds to choose from. 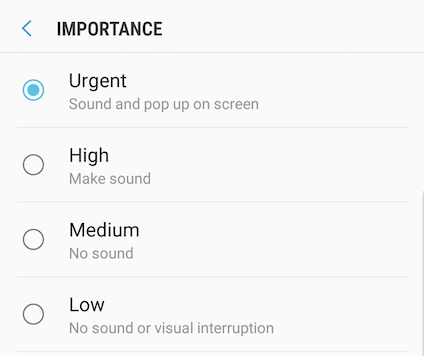 Select the sound for the type of notification, and you will be set! 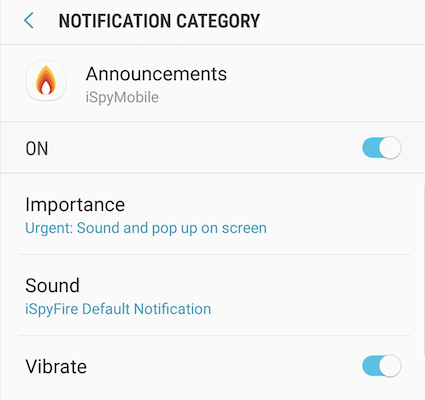 WHAT IF I DON'T SEE THE ISPYFIRE SOUNDS IN MY SETTINGS? We have found that if they do not appear in your settings, you can simply Uninstall the iSpyFire app, then Reinstall the app and they should be in your settings. NOTE: The login information at the time of uninstallation will still be your current log in, it will not change. So use the same Email and Password. If the sounds do not appear please visit this link here, and follow the steps below: Go to https://www.ispyfire.com/sounds to download the sounds you want directly onto your device. 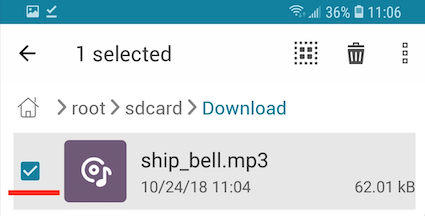 BEFORE you start you will need to download the "FILE MANAGER"app, If you don't already have the app. Click on the name of the sound. Then you will see the file, select the 3 dots to the far right. Then you will see Download, select Download. 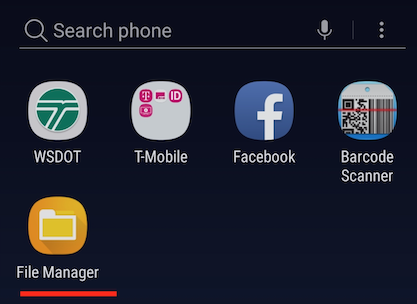 Then you will need to go to the "File Manager" app, select it. 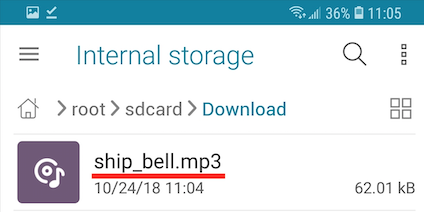 Here you will see the sound you downloaded "ship_bell.mp3"
Then you will see the 3 dots at the top of the screen, select that after you have selected the sound. 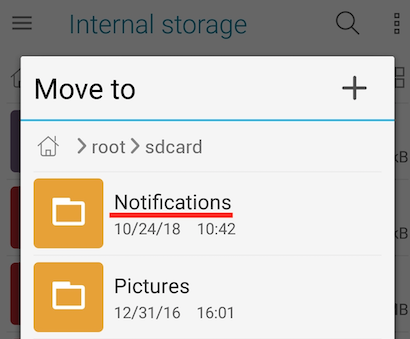 Then select "Move To"
Then find the notifications folder, select that folder. Then you will see this, select "ok"
Then that's it! You have the sound in your sounds on your device. Then follow Steps 1- 6 at the beginning of this page and you should be set! If you have any other questions or need help feel free to call us here at iSpyFire.